What's the Locrian natural 6 mode ? 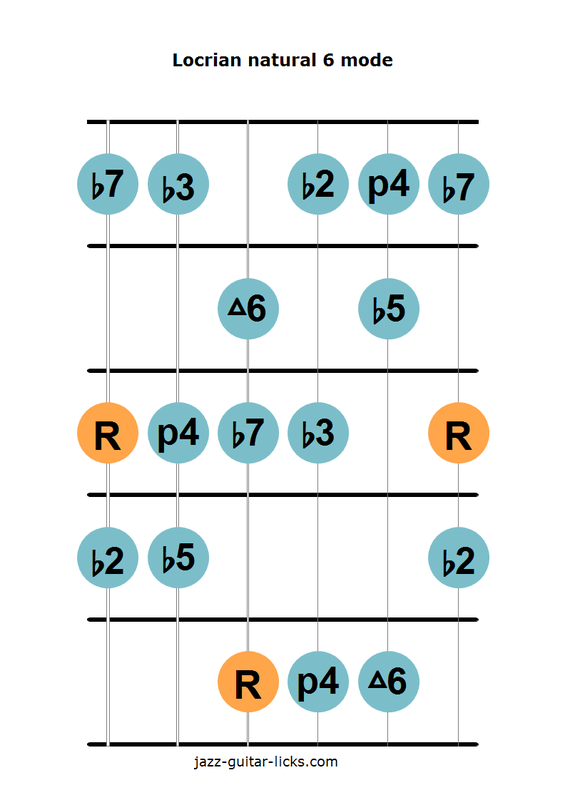 The Locrian natural 6, also known as Locrian 13 or Locrian #6 or harmonic natural mode 2, is the second mode of the harmonic minor scale. It is built the same way as the Locrian mode, but with a natural 6 instead of a b6. It is composed of the following intervals : 1 - b2 - b3 - 4 - b5 - 6 - b7. It is a rarely heard-scale which can be played anywhere that you used to play the Locrian mode, generally over half-diminished chords. It is important not to confuse with the Locrian #2 mode that is the sixth mode of the melodic minor scale. The Locrian #2 mode has the same notes as the locrian mode (the seventh mode of the major scale) but with a major second (2) in place of the minor second (b2). Considering that we can add the Locrian bebop scale to this list, it makes a total of 4 important half-diminished scales (Locrian modes) to know. 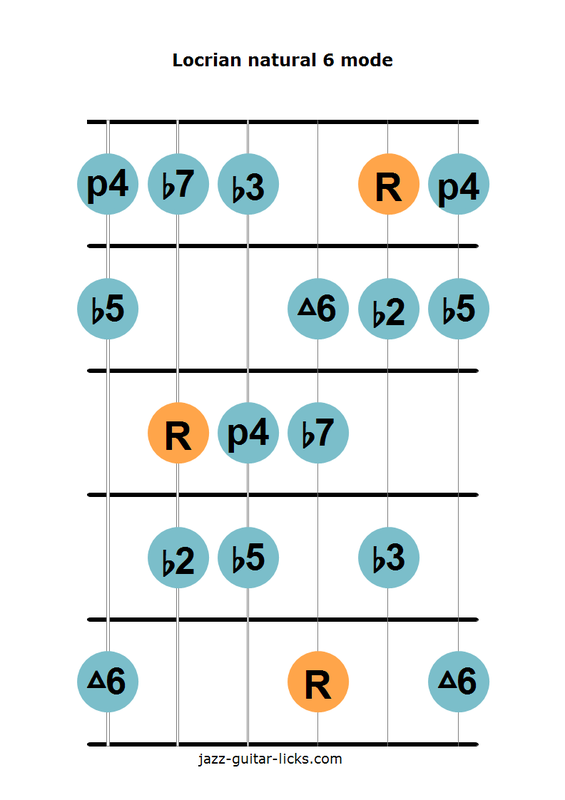 The following guitar shapes show you how to play the Locrian natural 6 mode on the guitar. The first diagram has roots on the sixth, fourth and first string and the second shape on the right has roots on the fifth and third (or second) strings.